With today’s technologies, the internet, and everyday progress, it’s very hard to imagine the difficulties of the lives of our ancestors. The things that were considered normal back then can make us laugh or even terrify us! Their weird ways of curing diseases, their traditions, and even their everyday lives — there are curiosities in every aspect that seem very strange today. WeGoRo has collected a few facts from the past that will definitely make you happy that you live in the 21st century. Women started dying their hair more than 3,000 years ago. But in the past, there were no salons and no special coloring mixtures, which is why ancient women used almost everything from onions and cinnamon to sulfur and ash. Also, to make their hair brighter, they had to spend hours in the blazing sunshine. It is no wonder that such experiments with appearances often didn’t end well. This tradition existed in China and was popular among the nobles. Girls who were 4-5 years old were made to bind their feet and wear shoes of small sizes to shape their feet. Despite the fact that the procedure itself was very painful and dangerous, normal healthy feet were considered to be the sign of a commoner and could be a problem when a girl wanted to get married. 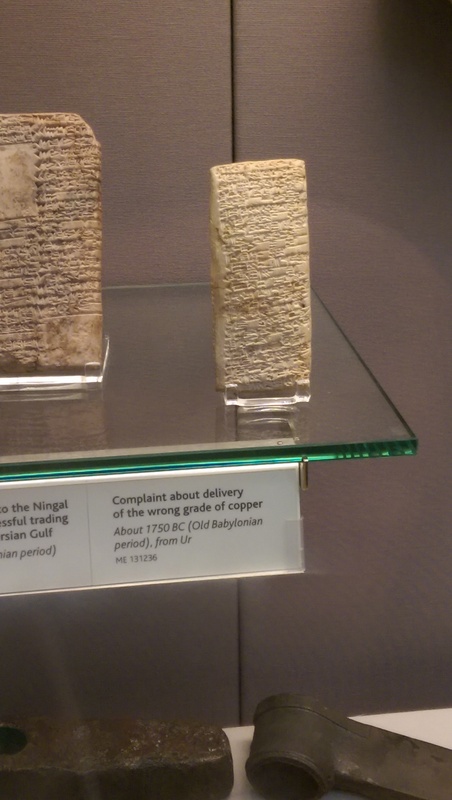 Books of complaints have existed for thousands of years. For example, this is what a 3,000-year-old complaint tablet about the delivery of the wrong sort of copper looks like. It wasn’t as easy as calling a hotline or leaving feedback on a website. This took real effort. Small jars with narrow necks — lacrymatories — were often found in tombs. Apparently, the tears of mourners were collected inside them. These vessels could also indicate how much a wife missed her husband while he was away. No matter how untasty and awful modern medicine might seem, it tastes way better than the medicine that was made using manure. In 1500 BC, the droppings of many animals, birds, and even humans were used as cures for all diseases and protection from the evil spirits thought to be the reason for the diseases. By the way, ancient people also used spells and magical rituals as treatment. Remember this next time you need to take some medicine that tastes bad. In ancient times, people used to take construction, especially building temples, very seriously. For example, The Stone of the South in Baalbek weighs more than 1,000 tons! It’s hard to imagine how people who were just like us created and moved such blocks and made buildings with them. In ancient Rome, fathers had unlimited power over their children for their entire lives. The so-called “father power” gave him the right to organize his children’s marriages and divorces, to refuse newborn babies, and to even kill or sell them if the head of the family didn’t want this child. You see, this is not the modern “Be home by 9!” or “Do the same job as your family!” — children now are much more happy and free. Nowadays you can buy a simple pregnancy test in any pharmacy, and it takes just a few minutes to find out the result. In ancient times, pregnancy tests were absurd. Women had to pee on sacks of wheat and barley. If the seeds grew, it meant that the woman was pregnant. They could also drink some water with honey before sleep — if a girl was pregnant, her belly was supposed to become bigger. Water supply systems for drylands from a huge well were made in the 1st century BC in ancient Iran, and they are still used in some places. The scale and labor intensity of these systems are unbelievable. If modern doctors still used the old methods of treatment, we would be taking medicine containing human blood to cure migraines and seizures. Ancient Romans thought that the blood of fallen gladiators was capable of treating epilepsy. The pharmacies of the 17th century sold powder made of human mummies. So-called “cannibal cures” were widely used across the world for many centuries. It is a well-known fact that cats were respected and considered sacred animals in ancient Egypt. In palaces, cats had very luxurious lives, and they lived just as well as their owners did. If a cat died, people had to shave off their eyebrows as a symbol of mourning, which lasted 70 days. In ancient times, people thought that the more people that came to someone’s funeral, the more significant the deceased person was. Some people even hired mourners — special people who took part in the funeral and cried. After some time, this tradition was prohibited because it contradicted the very idea of peace and calm in the afterlife. The Egyptians made great contributions to medicine, but ancient methods of treating some diseases are very weird. For example, to kill pain in the mouth, they invented a special mouthwash. It contained sweet beer, bran, and celery. Perhaps even today some would choose such “medicine” instead of regular pills. 1. Women were embalmed later than men. The ancient Egyptians usually embalmed the bodies of the deceased right after death. However, when it came to attractive women, the embalming process was delayed for a few days, and here is why: the relatives of the deceased woman wanted to avoid anyone touching the body, so they let it decay for 2-3 days. Which of these ancient traditions impressed you the most? Tell us in the comment section below!